The renowned Bersham Ironworks is in decline. It is now too small; the always limited supplies of coal and ironstone are getting scarcer and Bersham’s great Ironmaster, John Wilkinson (aka “Iron Mad Jack”), is on the lookout for a new site. When the owners of the Brymbo estate – Jane Wynne, granddaughter of Robert Griffith, and her son-in-law Thomas Assheton-Smith (later a great industrialist in his own right through his development of the Dinorwic slate quarries) came to sell, it was an opportunity John Wilkinson could not resist. So in 1793 he paid a “King’s ransom” (£14,000) for the Brymbo estate. 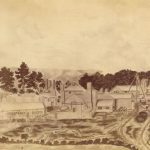 This purchase was made not a moment too soon, as a violent argument with his younger brother William resulted in the two brothers smashing up the expensive Bersham Ironworks machinery. C1796 Wilkinson builds the “Old No1” blast furnace at Brymbo: it produces over 800 tons of iron in its first year. The tone is now set for Brymbo’s future in iron and steel making. C1800 Now 72 years old Wilkinson adds other farms to the original Griffith lands, and encloses the Waen and Gorse farms from the old common. JW’s extensive efforts to improve his estates and employ better farming methods are often over-looked. His appointment as High Sheriff of Denbighshire is attributed to this work. C1805 Now 77 years old, John Wilkinson adds a second furnace at Brymbo, aiming for a total production of 4,000 tons a year. 3 more blast furnaces were later erected on this site. John Wilkinson, King of the Ironmasters, dies on July 14th 1808 at the ripe age of 80. His huge estate is placed in the hands of several trustees, principally a rather shady Brymbo man called James Adam. 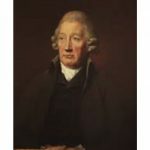 Severe “mismanagement” and the huge costs of a lawsuit by Wilkinson’s nephew (Thomas Jones Wilkinson) and one of the trustees (Samuel Ferriday) lead to the break-up of the Wilkinson industrial empire. 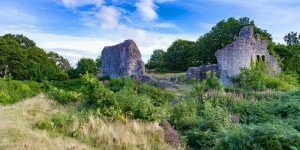 By the 1820s the Brymbo Ironworks are idle and go into a spiral of decline and neglect. In1835 the “Wonder” pit is sunk near Brymbo Hall. In 1838 Brymbo’s first church is consecrated. 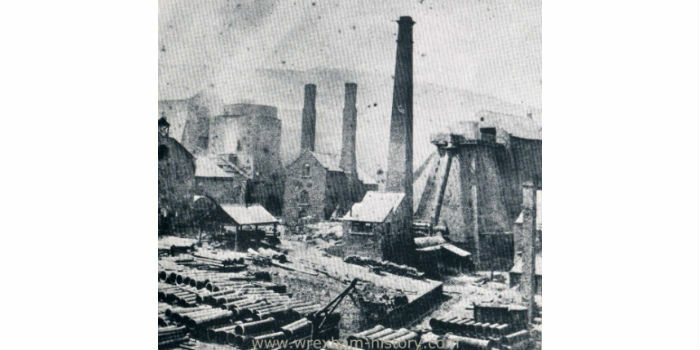 In 1842 The brilliant Scottish engineer Henry Robertson prepares a report on the viability of the old Wilkinson ironworks and collieries for Robert Roy and his associates; this consortium then appoint Robertson as managing partner and Brymbo’s march towards a massive future in steel making begins. 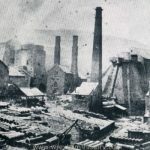 1843 The Bye pit of the Brymbo Colliery (also known as the “Blast” or “Furnace” pit) was sunk under the supervision of Samuel Jones, mine agent. 1844. Brymbo township is made a parish in its own right and in this period begins to expand into the modern village of Brymbo. In 1847. The railways reach Brymbo, with the opening of an extension of the North Wales Mineral Railway, running from Gwersyllt to Minera via the Moss Valley. 1884. Under the management of J H Darby, steelmaking is first trialled at Brymbo. 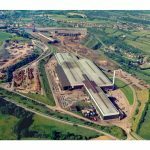 In the years to come Brymbo becomes a major steel-making centre, famous across the world for its very high quality specialised steels. 1930’s. 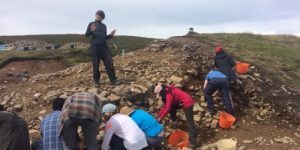 Closure of Vron and other Collieries. 1931-33.The steelworks is temporarily closed, but production eventually restarts with the backing of Henry Beyer Robinson. 1967. Closure of the last mine in Brymbo, the former Brymbo Co. drift mine at the Smelt. C1970. Demolition of Brymbo Hall. 1991.End of steelmaking at Brymbo. 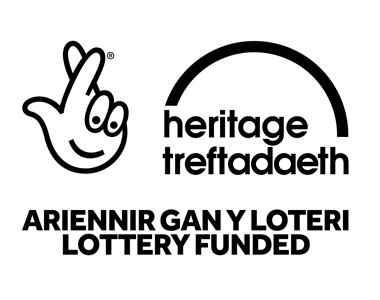 However we at the Brymbo Heritage Group, with significant monetary assistance from HLF and using the untiring efforts of our small army of dedicated volunteers and professionals, intend to restore the area’s sense of pride in Brymbo’s massive industrial heritage and to ensure that this small village takes its rightful place at the forefront of the industrial development of NE Wales.